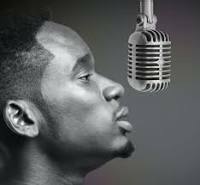 Mr Eazi has opened up on how he met his girlfriend, Temi Otedola saying DJ Cuppy didn’t introduced him to her. Months back, Mr Eazi showed his love for Temi when she marked her birthday. The music star took to his Instagram page on Tuesday, March 20, 2018, where he celebrated Temi on her birthday with a beautiful photo of the billionaire heiress and fashion vlogger. According to Mr. Eazi, he loves her and wished her a happy birthday. “Happy Birthday to my African Queen! My Bestie! I love you so much! Keep Shining,” he captioned the photo.